Showing 1-67 of 101 items. Computer Systems Institute offers a number of English and professional programs at the Skokie campus located in Cook County in a suburb of Chicago. Computer Systems Institute offers a number of English and professional programs at the Charlestown/Boston campus. Computer Systems Institute’s newest campus in Worcester, MA is conveniently located at the intersection of Main Street and Mechanic Street. The campus is within walking distance to many attractions, including Worcester Common and Worcester Public Library. Computer Systems Institute offers a number of English language and professional programs at the Lombard campus. ESL programs are designed for learners who wish to improve their English language skills or prepare to enter a U.S. college or university. 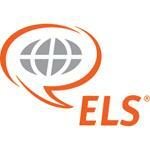 ESL programs are for English learners of any skill level. Your path to academic success starts right here! The ECU Language Academy is an intensive program of academic English. It is for students who plan to enter an undergraduate or graduate degree program. Denver, Colorado The English Language program at Emily Griffith Tech will help you improve your English and gain confidence to succeed in college or a new profession. We link you directly to college career tech programs like nursing, welding, cosmetology, and more so that you can start on your path to an upward moving career. A high-quality intensive English program, established in 1970 at Xavier University in Cincinnati, Ohio. Students from all over the world choose this university-based program for its excellent teaching and outstanding student services. Our language training includes a complete multi-level program for adult learners who want to enhance their English language skills in order to successfully communicate in the cultural context of the U.S. The program has a natural student –centered communicative approach to language learning based on the integration of four language skills: Speaking, Listening, Reading, and Writing. English for Speakers of Other Languages (ESOL) courses at Ivy Tech Community College are designed to improve the speaking, listening, reading, and writing ability of individuals who did not grow up with English as their first language. ESOL courses are designed to prepare students for their collegiate academic journey and help students improve their language skills. The English Language Institute offers small classes and on-campus housing for overseas students. Tuition rates are affordable. Register today for classes!